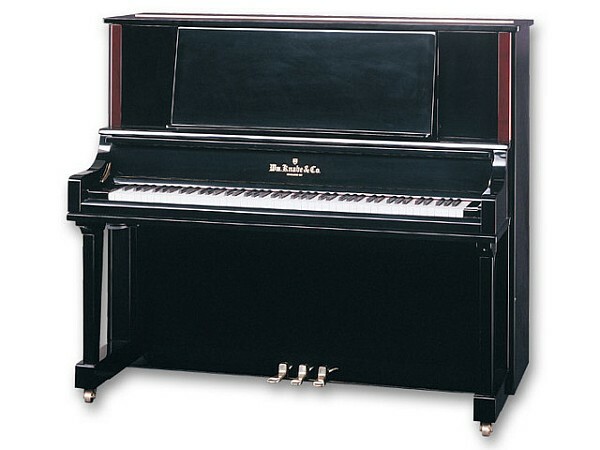 The Knabe WKV 132 Concert Series Professional Upright Piano is their top-tier premium vertical model. The WKV 132 offers an almost limitless set of design features in an attractive package. 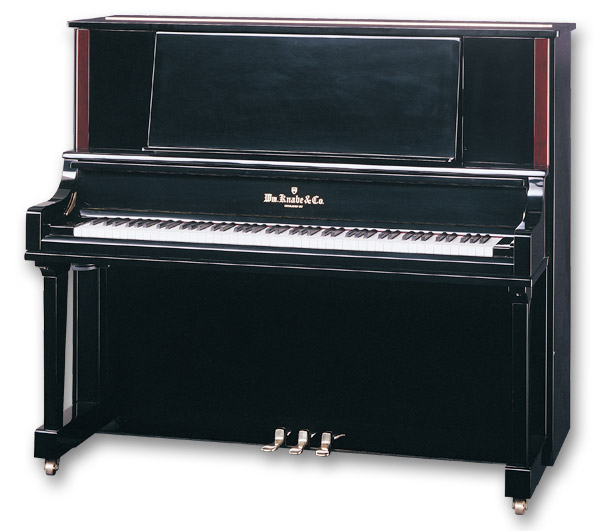 Available in ebony satin, ebony polish (shown with mahogany accents), mahogany, or rosewood finish with 7¼ octave (88 keys), 3 pedals (including sostenuto), practice mute, full size music desk, German hammers, Rosleau music wire, tapered solid spruce soundboard, maple trapwork, and slow close fallboard system. H: 131 cm / 51"
W: 153 cm / 60"